This is the first in a three-part series on settlements in non-compete litigation. Every judge, lawyer, and litigant is probably familiar with the maxim that most civil cases settle. That's undoubtedly true. But some classes of suits are better positioned to settle than others. In non-compete and other competition litigation, there are many reasons why cases do settle. I'll be talking about those in my next post. 1. Each side thinks it will prevail. The most apparent reason that non-compete suits don't settle is that each side believes strongly in its case. This may seem obvious and intuitive, but in a large percentage of civil litigation, a determination of liability is pretty clear. Non-compete disputes are different because contracts are governed by a flexible rule of reason, meaning that courts will take a fresh look at the facts and circumstances to determine enforcement in every case. Precedent only gets you so far. In this regard, the closest parallel to non-compete litigation is in the copyright context, where the contours of the "fair use" doctrine are ill-defined and subject to a multi-factor balancing test. The rule of reason in non-compete cases is a close analogue, with parties often justifiably believing the facts will fit within their view of the rule of reason. 2. The case involves unusual facts. Cases involving strange fact patterns are hard to settle because prior results or other cases don't influence the parties as much. Non-compete disputes have their share of weird fact patterns, with the case of IBM v. Johnson perhaps the best and most notable. They also frequently involve a misunderstanding among the parties as to what level of competition actually is occurring or whether the companies offer different products or services. 3. One party is determined to have its day in court. Settling litigation is almost always an economic decision, with parties balancing litigation costs, potential exposure, and the benefits of certainty. Frequently, however, parties in non-compete cases will take principled stands and avoid the typical cost-assessment that goes with litigating. This is usually so because non-compete disputes evoke visceral reactions among the parties, partly because important societal interests (freedom of contract vs. freedom to compete) sit in tension with one another. The plaintiff feels jilted and scorned; the defendant just wants to ply his or her trade. Raw emotions are difficult to temper even with a rational cost-benefit assessment about continuing the fight. 4. The law is unsettled or unclear. Non-compete cases are heavy on the law - meaning that even if the facts are all out on the table, the impact of those facts is frequently not clear. Some of the legal issues that arise involve choice-of-law, blue-penciling, tolling of the restricted period, and sufficiency of consideration. These rules vary from state-to-state, and many states haven't clearly defined their legal standards. 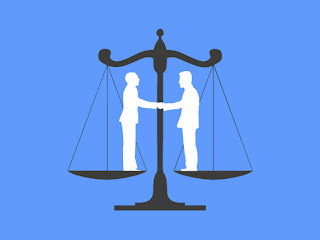 If an unsettled legal issue is the fulcrum of the dispute, the case automatically becomes more difficult to settle and the parties become more entrenched in their positions. 5. A larger strategic issue is at play. Non-compete suits don't settle because of strategic reasons that may not even involve the parties to the suit. One example is when a company wants a court ruling that upholds its agreement. That ruling then can be used offensively in other cases or as a deterrent among employees who are made aware of a company's court victory. Companies that settle non-compete disputes quickly often establish a market rate for breach. Even a supposedly confidential settlement may not keep that rate hidden from third-parties. On the flip side, and unfortunately, a plaintiff sometimes pursues a competition law case - even though it's terribly weak - to slow down the growth of a potential market competitor simply by causing them to spend valuable resources on legal fees. My next post will look at why non-compete suits should (and do) settle. It will be the mirror-image of this post. And my final installment on settlements will address a very specific issue that is plaintiff-centric: how to assess potential bankruptcy issues when settling competition suits.